You will be required to fill out a consultation form. This time is allowed in all treatments. Arriving late will only reduce your time spent with us. Look after those you care about with the perfect gift of love and wellbeing. Gift vouchers are valid for 4 months. At least 48 hours notice to reschedule or cancel your appointment is greatly appreciated. 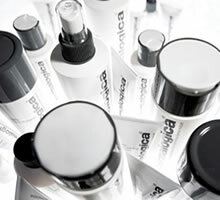 For years, Dermalogica's formulas have pioneered new standards for product performance. Using only the finest ingredients available, all products are non-comedongenic and contain no occlusive mineral oil or lanolin, no irritating artificial colours or fragrance, and no drying S.D. alcohol or formaldehyde. Always cruelty-free, Dermalogica does not test on animals. Get the most out of your regimen by seeking the advise of o qualified skin care professional from Tuscany Beauty, who can design a targeted program for your skin’s specific needs. To maintain and improve skin health, an effective skin care regimen must contain three fundamental elements, prevention, protection and correction. 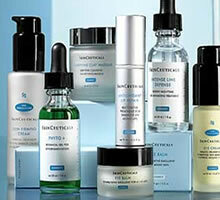 Skin Ceuticals product philosophy and educational programs are built around these principles. Our line of advanced skin care products is designed to prevent future damage, protect healthy skin, and correct previous damage. At Tuscany Beauty achieving results means more than restoring youthful, radiant skin - it means preventing serious conditions like skin cancer.